Dozens of Washington lawyers write blogs, covering topics as diverse as veterans' law (Lawyers for Warriors), construction law (e.g., Groundbreaking Law), and women's rights (Speaking of Women's Rights). There's even a blog about beer law (Brewery Law Blog). To sample these blogs, take a look at our newly updated guide, Law Related Blogs in Washington State. Starting Saturday, Sept. 1, Seattle employees will beging earning paid sick and safe time, when the Paid Sick and Safe Time ordinance takes effect. The Seattle Office for Civil Rights provides a summary of the ordinance. The ordinance (#123698, signed by the mayor Sept. 23, 2011) is here. For more, see the website and blog of the Seattle Coalition for a Healthy Workforce. Baseball is not just a game: it's big business. And like much business, these days, it operates globally. One way is in its search for talent. Twenty percent of professional baseball players come from the Dominican Republic, a country that ranks 132 in area and 85th in population. How could such a small country produce so many expert ballplayers? It's because thousands of boys train full time in baseball facilities for a chance to sign a major league contract. Critics of the system are concerned about the targeting and possible exploitation of poor children. For an excellent overview of the issues, as well as a few reforms in the last couple of years, see Arturo J. Marcano & David P. Fidler, Ballplayer: Pelotero—Major League Baseball, Human Rights, and the Globalization of Baseball, ASIL Insights, Aug. 22, 2012. The authors discuss a documentary, Ballplayer: Pelotero, that was released last month. The film follows two sixteen-year-old ballplayers trying to sign on with teams in 2009. The film's website has a trailer. The film is available on iTunes and Amazon; a DVD will be released in September. 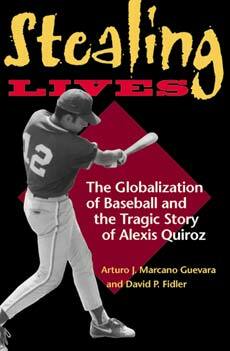 Several years ago, the authors wrote a book on this topic: Stealing Lives: The Globalization of Baseball and the Tragic Story of Alexis Quiroz (2002), publisher's page. It's available through Summit; here's the catalog record. The Indiana Journal of Global Legal Studies devoted an issue to Baseball in the Global Era: Economic, Legal, and Cultural Perspectives (volume 8, number 1, Fall 2000). It's available on HeinOnline (UW restricted). You can start with David P. Fidler's Introduction. 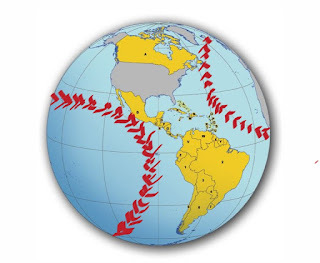 Graphic adapted from Western hemisphere map from U.S. Dep't of State. Source for rank by area and population: CIA World Factbook. There are now three format choices for the Bluebook: paper, online subscription (since 2008), and—as of August 10—iPad app. This post talks about the features and pricing of each. With School of Law summer classes ending today, the Law Library begins operating on its interim schedule tomorrow, August. 25. The Law Library will be closed Saturday - Monday, Aug. 25 - 27 and Friday - Monday, Aug. 31 - Sept. 3. The Law Library will be open from 8am - 5pm, Tuesday - Thursday, Aug. 28-30 and Tuesday - Friday, Sept. 4 - 7. During the interim period, the Library is generally open Monday - Friday, 8am - 5pm and closed on Saturday and Sunday. The Reference Office is open from 9am - 12pm and from 1 - 5pm, Monday - Friday. Interim hours will continue until the first day of autumn quarter classes, Monday, Sept. 24. For cycling fans following Lance Armstrong’s legal challenges in connection with doping allegations, in a 30 page opinion [Armstrong v. United States Anti-Doping Agency, No. 12-0606 (W.D. Tex. Aug. 20, 2012), posted by the Wall Street Journal at the article link below] U.S. District Court Judge Sam Sparks granted the United States Anti-Doping Agency’s (USADA) motion to dismiss Armstrong’s federal lawsuit. Part I of the opinion is helpful for researchers wanting to learn more about the various international and U.S. entities tasked with regulating sport, such as the Olympic Movement (the International Olympic Committee), Union Cycliste Internationale/InternationalCycling Union (UCI), the U.S. Olympic Committee (USOC), and USA Cycling. Also mentioned in the opinion is the World Anti-Doping Program (WADA), whose web site includes comprehensive information on international anti-doping standards, a Digital Library with links to free educational information, and a Legal Library with links to articles on the World Anti-Doping Code, advisory and legal opinions, case law, and national legislation. Armstrong’s legal counsel and the USADA have posted official statements. For news coverage, see Reed Albergotti, Armstrong Lawsuit Dismissed, Wall St. J. (Aug. 20, 2012, 6:10 PM) (with a link to the full text of the opinion), and Juliet Macur, Armstrong’s Suit Against Anti-Doping Agency is Dismissed, N.Y. Times (Aug. 20, 2012). An updated guide to Competitive Intelligence research is now available on LLRX.com, the Law Library Resource XChange. Compiled and published by LLRX.com founder and editor Sabrina I. Pacifici, the guide includes a selected list of useful web sites where researchers can locate news sources and news transcripts, blogs, data sources, country profiles, directories, and other information. Web site descriptions and search tips are provided. For golf enthusiasts everywhere, this past weekend proved to be a very exciting Masters tournament, from Bo Van Pelt and Adam Scott's holes-in-one, to Tiger's club-kicking frustration to the final sudden-death match up between Bubba Watson and Louis Oosthuizen --after the latter had already delivered with an incredible double eagle (or albatross, if you prefer). 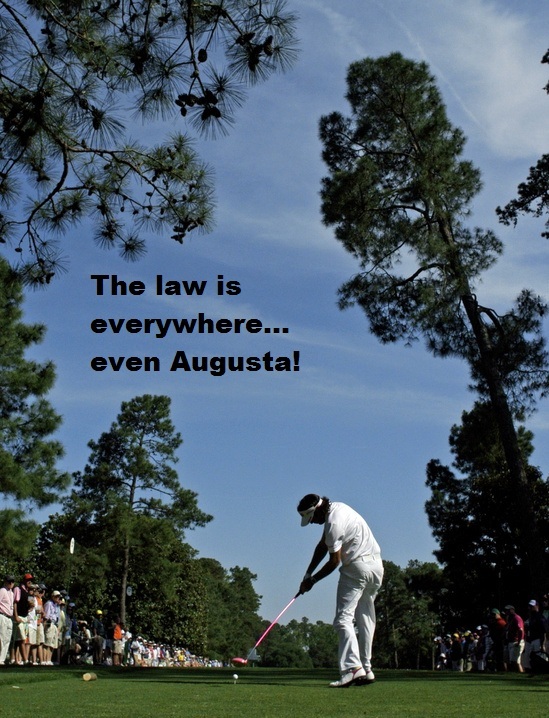 Of course, the law is everywhere, and golf is no exception. 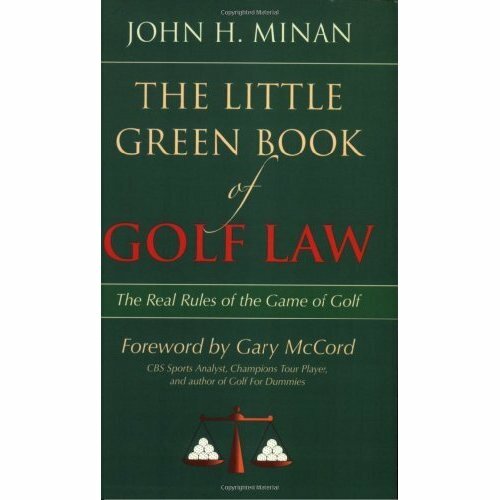 Just as we have the Little White Book of Baseball Law, so we also have the The Little Green Book of Golf Law. Check it out in the Good Reads section. 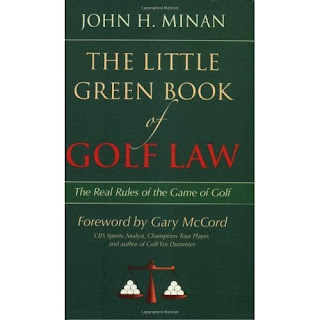 "If one assumes, however, that the PGA TOUR has some legal obligation to play classic, Platonic golf–and if one assumes the correctness of all the other wrong turns the Court has made to get to this point–then we Justices must confront what is indeed an awesome responsibility. It has been rendered the solemn duty of the Supreme Court of the United States, laid upon it by Congress in pursuance of the Federal Government’s power “[t]o regulate Commerce with foreign Nations, and among the several States,” U.S. Const., Art. I, §8, cl. 3, to decide What Is Golf. I am sure that the Framers of the Constitution, aware of the 1457 edict of King James II of Scotland prohibiting golf because it interfered with the practice of archery, fully expected that sooner or later the paths of golf and government, the law and the links, would once again cross, and that the judges of this august Court would some day have to wrestle with that age-old jurisprudential question, for which their years of study in the law have so well prepared them: Is someone riding around a golf course from shot to shot really a golfer? The answer, we learn, is yes. The Court ultimately concludes, and it will henceforth be the Law of the Land, that walking is not a “fundamental” aspect of golf." And finally, one issue that has been in the news recently has been Augusta's lack of female membership. Both President Obama and Mitt Romney have stated that they are against the club's policy. Check out the Tarnished Twenty for a brief discussion of the legal issues. [Image from www.augusta.com, with minor tweaking by a Gallagher Library Intern] Update (Aug. 21, 2012): Augusta National Adds First Two Female Members, N.Y. Times, Aug. 20, 2012. 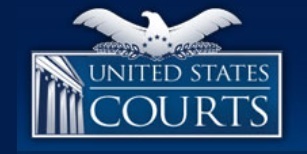 The Judicial Conference Advisory Committees on Appellate, Bankruptcy, Criminal, and Evidence Rules is accepting comments on proposed rules changes. The Proposed Amendments Published for Public Comment contains a preliminary draft of all of the proposed changes. Interested parties may submit comments via email to rules_comments@ao.uscourts.gov. Comments become part of the official record and may be viewed by others at this same website. 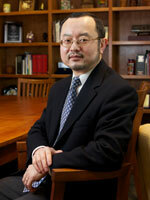 The public comment period ends on Feb. 15, 2013. Proposed changes affect certain rules dealing with appellate, bankruptcy, civil, criminal, and evidence procedures. 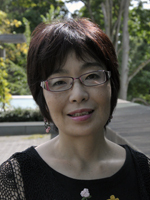 Toshiko Takenaka, Serious Flaw of Employee Invention Ownership under the Bayh-Dole Act in Stanford v. Roche: Finding the Missing Piece of the Puzzle in the German Employee Invention Act, 20 Tex. Intell. Prop. L.J. 281-326 (2012). Law Man is second-year law student Shon Hopwood's memoir of his unusual path to law school, written with Dennis Burke. Unlike the students who come to law school after 17 years of playing by the rules, kindergarten through college, Shon Hopwood made some significant mistakes. He dropped out of college after less than a year, drank so much while he was in the Navy that he landed in the hospital, had some low-level jobs, and had to get his father to help him with his debts. And then he made some really big mistakes: he robbed five banks. In federal prison, Hopwood was assigned to work in the kitchen but was lucky to be reassigned to the prison law library, where he started reading and studying law. Over time, his diligence paid off. He became the go-to guy for inmates who wanted help with a motion or an appeal. And he was remarkably successful. The great majority of petitions for certiorari are denied, but Hopwood's first cert petition, on behalf of a fellow inmate, was granted. Seth Waxman, the prominent Supreme Court advocate appointed to represent the inmate, kept Hopwood involved with the case. Hopwood's fellow inmate eventually had his sentence shortened. Through his relationship with Waxman and another lawyer, Hopwood got encouragement and more opportunities to learn. During Hopwood's ten years in prison, he not only took college correspondence courses and taught himself law: he also grew emotionally by forming a strong relationship with a young woman he had known in high school—a woman who is now his wife. After he was released and was working, Hopwood was profiled in the New York Times: Adam Liptak, A Mediocre Criminal, But an Unmatched Jailhouse Lawyer, Feb. 8, 2010. And last fall, he began studying law the more typical way: in a classroom. 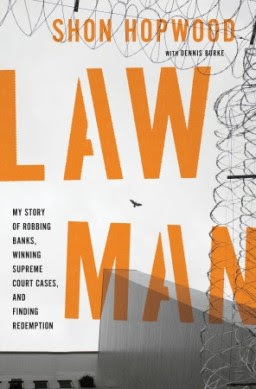 Law Man: My Story of Robbing Banks, Winning Supreme Court Cases, and Finding Redemption, catalog record. (The Law Library's copy hasn't arrived yet; we'll update this post when it gets here.) Publisher's page. Shon and Ann Marie Hopwood's website. Dongsheng Zang, China's "Attitude" Toward Human Rights: Reading Hungdah Chiu in the Era of the Iraq War, 27 Md. J. Int'l L 263-303 (2012). The Law Library will close at 4pm on Thursday, Friday, and Sunday; August 9, 10, and 12, 2012. Gates Hall will close at 5pm and everyone must leave the building at that time. The legislature has declared August 7 to be purple heart recipient recognition day (RCW 1.16.050). General George Washington began honoring soldiers with a Badge of Military Merit on Aug. 7, 1782. The badge was "the figure of a heart in purple cloth or silk edged with narrow lace or binding." After the Revolutionary War, the Badge was no longer used. In 1932, in honor of the bicentennial of Washington's birth, the Purple Heart was created. At first, the Purple Heart was for meritorious service, which might include being wounded. Now it "is awarded in the name of the President of the United States to any member of the Armed Forces of the United States who, while serving under competent authority in any capacity with one of the U.S. Armed Services after April 5, 1917 has been wounded, killed, or has died after being wounded." Source: National Purple Heart Hall of Honor, History page. See also Military Order of the Purple Heart, History of the Medal (longer article). To research veterans' benefits law, see our guide. To track some of the policy issues related to veterans, see the House Committee on Veterans' Affairs and the U.S. Senate Committee on Veterans' Affairs (the chairman is Senator Patty Murray, from Washington State). You can find information about proposed legislation (e.g., S. 3340, the Mental Health Access Act of 2012, introduced in June) and get information about hearings and more. Looking for something to do on a Friday or Saturday downtown? Stop by the Seattle Veterans Museum (near Benaroya Hall). Graphic: Purple Heart stamp from USPS.com.